Item # 315488 Stash Points: 2,795 (?) This is the number of points you get in The Zumiez Stash for purchasing this item. Stash points are redeemable for exclusive rewards only available to Zumiez Stash members. To redeem your points check out the rewards catalog on thestash.zumiez.com. Gear up for smooth sailing with Acid's signature Jelly Shots Green 59mm 82a Cruiser Wheels. 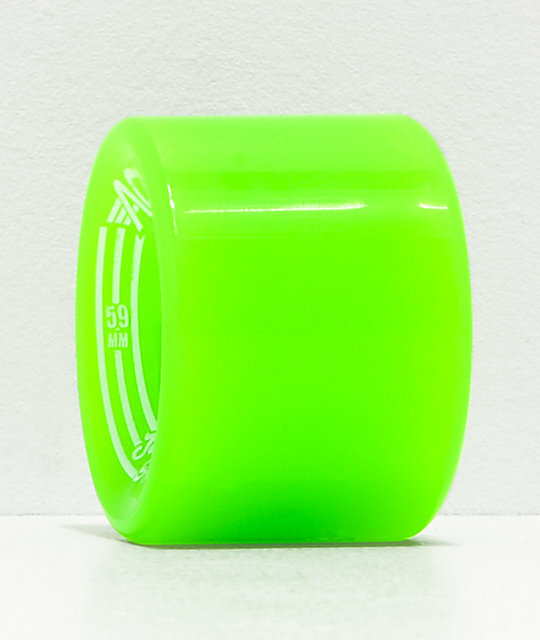 Made from a durable urethane formula, these bright green wheels provide a soft cruising performance that's perfect for tackling rough ground in the skate park or out in the streets. 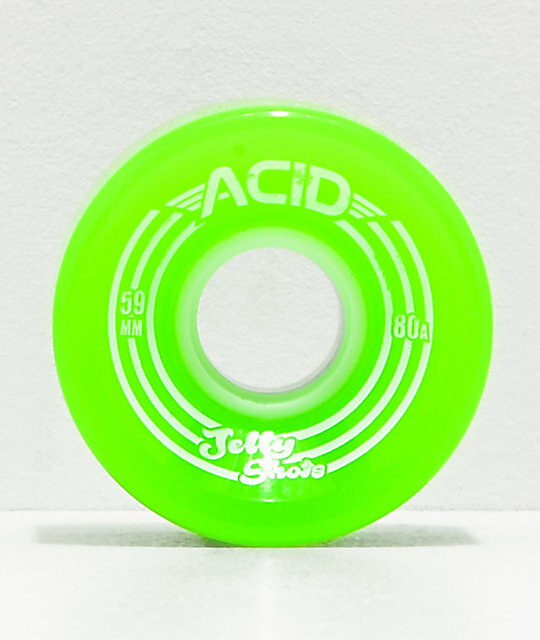 Jelly Shots 59mm 82a Green Cruiser Wheels from Acid. Includes 4 urethane wheels in green colorway with custom printed logo graphics.